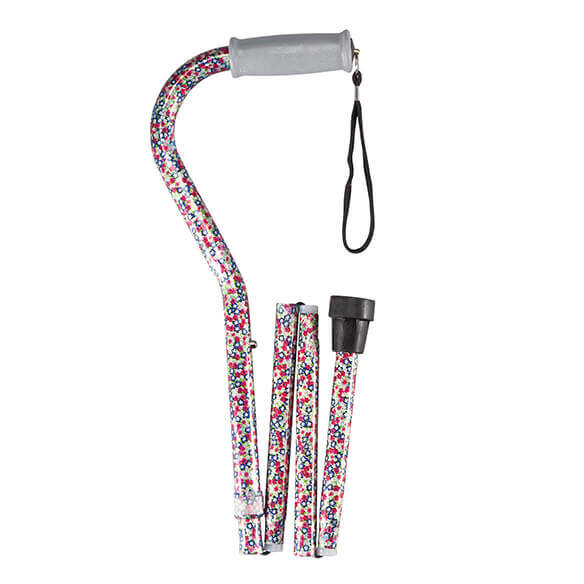 Folding offset cane keeps strain off wrists when you're using it, folds for easy portability when you're not. 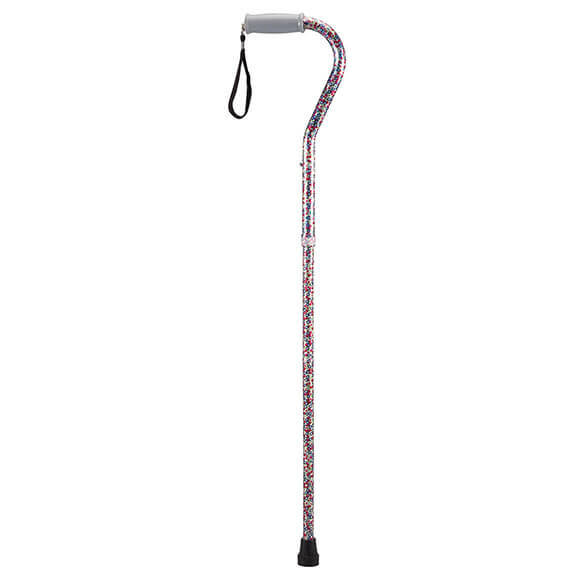 As its offset handle centers weight and distributes it along the shaft's length, the ergonomic walking stick helps relieve wrist strain for maximum comfort while walking and standing. 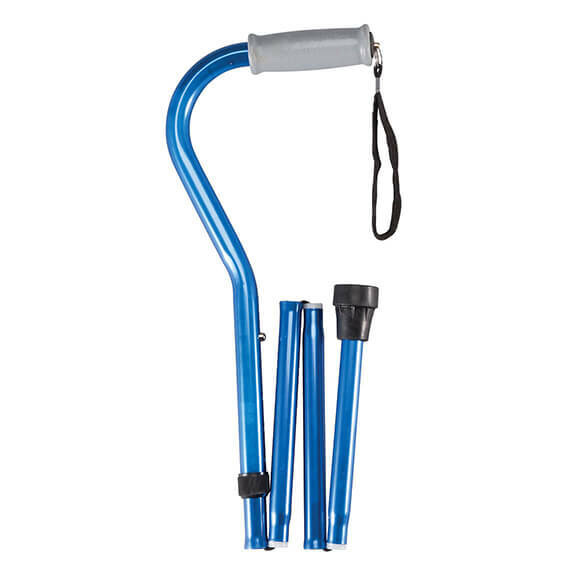 Attached wrist strap adjusts from 38" L–42" L.
Lightweight aluminum design folds for easy travel and storage. Perfect for men or women; choose from floral, blue or black. 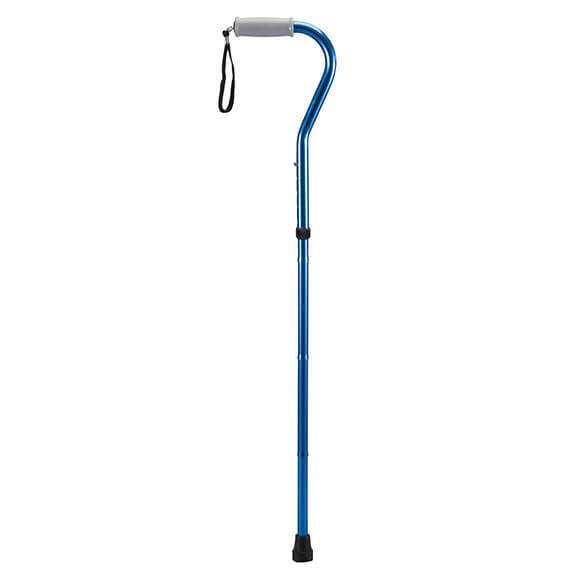 Collapsible cane supports up to 200 lbs. 3/4" dia. shaft and 1/2" dia. tip. 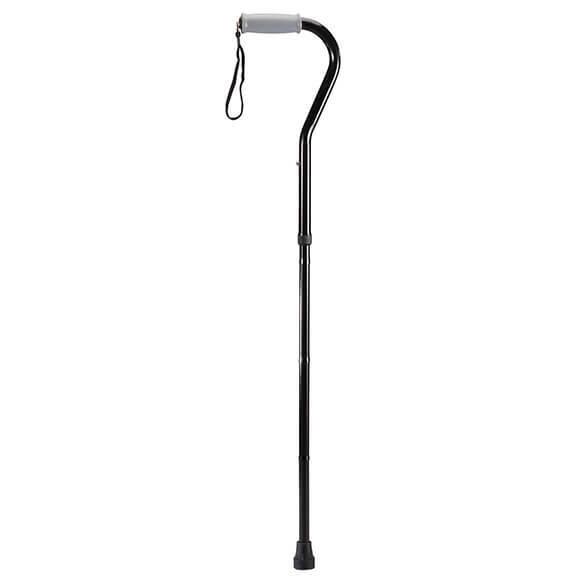 No problem with the cane itself, just didn't realize it was for a taller person. Usually it ajusts more than this one. I have to return it and buy one at the store. I didn't do well with this cane. I thought it was an excellent idea, in theory, so I bought it. When I got it, I opened it up and straightened it out. It was practically up to my armpit in height (I'm 5'4"). I pushed in the button to try and lower it, but it never went down far enough to be useable. I returned it. Much needed spare cane to keep in vehicle.